According to urban legend, a landfill somewhere in the small city of Alamogordo, New Mexico, bulges with millions of copies of the worst game ever made—a game that many observers blamed for the North American video-game sales crash of 1983. Atari’s bubble burst because of a little alien. In December 1982, Atari released E.T. 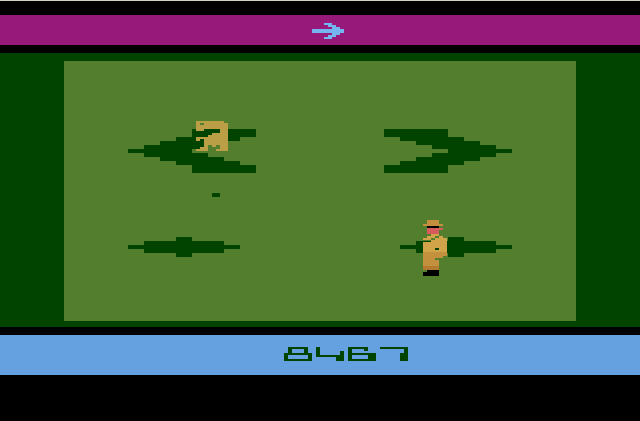 the Extra-Terrestrial for the Atari 2600, and critics quickly labeled it the worst game of all time. In light of many more-recent debacles—I’m looking at you Aliens: Colonial Marines and SimCity—granting “worst game ever” status to E.T. in perpetuity seems somewhat unfair. Nonetheless, this primordial Atari 2600 title continues to top “worst of” charts, including our own, time and time again. So why should you give it another chance? Because a code hacker managed to fix some of the games most glaring problems, and now it’s actually fun to play. When Atari finally got the rights to the E.T. name in late July 1982, it wanted to make the game a holiday-season sales hit. Steven Spielberg chose Howard Scott Warshaw (designer of both Yars’ Revenge and Raiders of the Lost Ark, two of the best Atari games ever) to design the game, and Atari established a schedule that gave him just five weeks to do the job. “I was either the golden child selected to do the project, or I was the only one stupid enough to take on the challenge,” Warshaw says. Regrettably, due to the short development cycle, the game never received a proper fine-tuning. Atari rushed it out the door, and the product that hit store shelves was raw to a debilitating fault. Players immediately began denouncing E.T. as confusing and frustrating. Gameplay was inscrutable, and nothing that appeared on-screen made intuitive sense. Vague symbols would occasionally pop up at the top of the screen, but they made no sense unless you dove deep into the manual to ferret out their meaning. Walking to the edge of the screen would jump you to an entirely new map with no clear objective to pursue. And occasionally characters would appear and, without giving any indication of their purpose or intent, summarily carry E.T. off to yet another screen. The graphics were bad, even by the standards of early ’80s game design. And E.T. was tragically susceptible to falling into any of the multitude of “wells”—diamonds, circles, and arrows—that dotted the gamescape like burrows in a vast prairie-dog metropolis, whenever even a single pixel of his sprite collided with one of those shapes. Tumbling into these pointless holes, and then laboriously climbing back out, time and time again, made for seriously annoying and monotonous gameplay. "I’d like to think I’m capable of toppling a billion-dollar industry myself, but I doubt it." Atari wildly overestimated the game’s sales volume, produced vastly too many copies, and ended up taking a major financial hit, suffering a reported loss of $100 million on the endeavor. But Warshaw modestly declines to shoulder all the blame for the 1983 video game depression, citing the failed Atari 2600 version of Pac-Man as a contributing factor. “I’d like to think I’m capable of toppling a billion-dollar industry myself, but I doubt it,” he says. Members of a small community of contrarians insist that the 1982 version of E.T. was a good, enjoyable, entertaining game. They say that people simply (and grossly) misunderstood it. The kids didn’t read the included instructions, they argue. Sure the game was difficult, they concede, but the game’s mechanics—featuring elements like open-ended worlds and side quests—were ahead of their time. In the game itself, E.T.’s map is in the shape of a cube. Here it is flattened out. The game’s instructions answered all the questions regarding its objective, its point system, its enemies, the purpose of the wells, and the meaning of the strange symbols. Unfortunately, the instructions were also long and complicated, and about as likely to serve as reading material for a kid on Christmas morning—or really any time—as a terms-of-service agreement. The instructions did provide answers, but much as they would today, gamers in 1982 expected to hit Start and begin figuring out gameplay in real time. The game’s unique open environment posed some issues of its own. Today, open worlds are common in video games. But when E.T. debuted, a world described by a three-dimensional cube (as illustrated above) was beyond ambitious. You’d reach a screen’s perimeter, and find yourself whisked away to an entirely different environment. The relocation was “correct” within the context of the game—but unless you understood the logic, you’d quickly become disoriented and be left grasping for answers. E.T. lands and starts the game. Duane Alan Hahn makes persuasive arguments in defense of the original E.T. 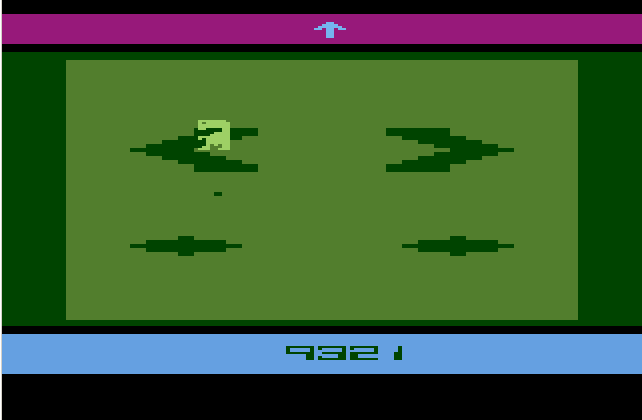 on RandomTerrain, but there’s no denying that the game was a bad match for the younger audience that bought and played most games in 1982. E.T.’s gameplay, strategies, and style were unfamiliar to the infant gaming industry, and wouldn’t be appreciated until many years later. To make the game more appealing to its many critics, Neocomputer.org launched a project to explain and address E.T.’s most widely recognized problems. Precisely who “fixed” the game remains unclear (edit 4/17/2013: We learned that the project was solely done by David Richardson aka Recompile of Greenville, PA), though an AtariAge member named Recompile certainly played a major role, but the bottom line is that the project yielded new ROM code that dramatically improves E.T. E.T. is safely on the edge. The number-one user complaint about the original game involves the frustrating issue of continually (and inadvertently) falling into wells. The original problem stemmed from pixel collisions between the E.T. sprite and the pits themselves. If a single pixel of E.T. collided with a single pixel from a well, down the alien went, even if his feet were firmly planted on the ground. A couple of adjustments to the code, and now E.T. doesn’t spend inordinate amounts of time plummeting into crevasses (unless you’re very uncoordinated). A second issue related to general difficulty settings that were too challenging for even the most seasoned gaming pros. Every step would drain your energy, leading E.T. in short order to pass out (and thereby lower your score). For a game based on exploration, the steep penalty for any movement posed a major problem. But thanks to changes in the new game code, you lose energy only when running, falling, or hovering. Simply walking is no longer detrimental to your score. 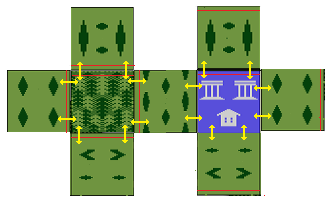 The Neocomputer.org blog also provides some tips on how to customize the difficulty further. For example you can tweak the rate of energy consumption. Check it out to ratchet up the challenge! E.T. gets a makeover to be a natural color. Finally, in the original version of the game, E.T. suffered a strange color alteration. Granted, aliens are often known as “little green men,” but in the movie E.T. was distinctly tan. Now, thanks to a few HEX value changes in the new code, E.T. gets as close to his “natural” color as the Atari will let him. By opening the E.T. ROM file with a hex editor and adjusting key values, the project’s coders essentially patched the 30-year-old game. Of course, the contributors didn’t change the core gameplay at all, so they recommend that you—unlike your tween predecessors—read the manual or watch a tutorial video so you have a sense of what the heck you’re supposed to be doing. Some of the hex fixes to the ROM that patch the 30-year-old game. Warshaw commends the fixes and admires the hackers’ tenacity in sticking with the project. “He brought a lot of integrity to the project,” he says, “I think he did a nice job.” He assures PCWorld that if Atari had given him more time back in 1982, he would have made the crucial fixes himself. You can download the new ROM directly from the Neocomputer projects page and open it using an Atari 2600 emulator such as Stella. E.T. was ahead of its time in 1982—but thanks to a dedicated fan with some technical prowess, you can finally enjoy this gaming classic. Even if it remains the most reviled game in history. Alex covers desktops, everything from fancy to practical. He's also an avid (addicted) gamer and loves following the industry.